So I got this book a couple of months ago, and I just finished reading it. 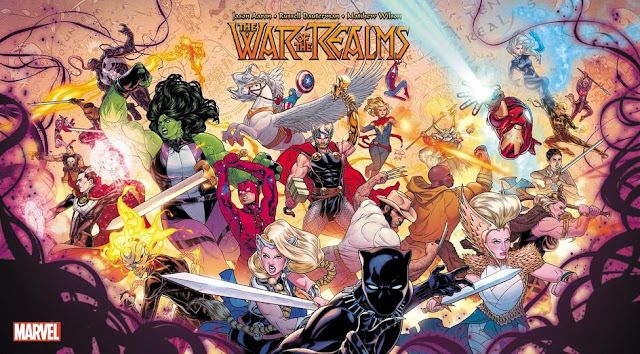 This is going to be a quick review, since, well, there isn't a story to review, but I would easily call this book essential reading for (1) fans of Captain Marvel and Fawcett Comics and (2) those who truly wish to study comic book history. 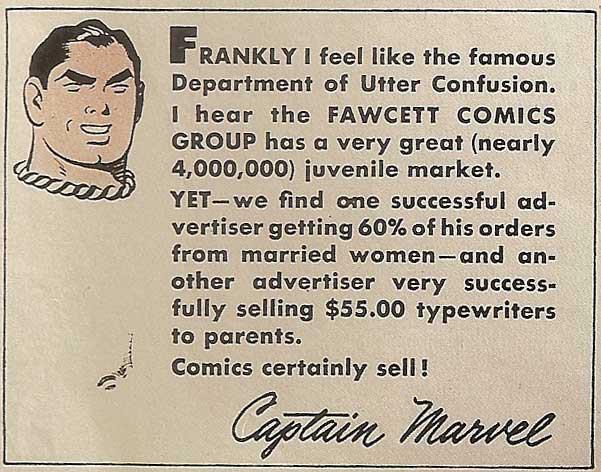 It's one thing to be told how big Captain Marvel was in the day; it's a whole different thing to see it. 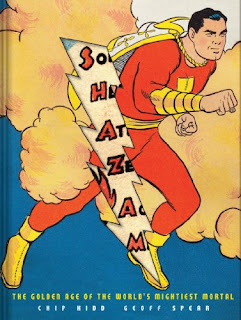 From Shazam-related toss bags to mailers sent to potential advertisers to bootleg trading cards from Cuba, the whole production isn't just a time capsule to see how big Captain Marvel and company were; it's a time capsule to see how big comics were at all! Excerpt from one of the mailers sent to advertisers. I'm sure the numbers are inflated, but the point stands. I only have one other book by Chip Kidd, which is MYTHOLOGY: THE DC COMICS ART OF ALEX ROSS, and from there I already saw the kind of design work he was capable of. He brings those skills here, taking Spear's photographs of Harry Matesky's collection and laying them out in the most visually captivating way. In the simplest sense of the word, looking at these old things is fun because Kidd designed it in the most fun way. In addition to all that, there's some really fun analysis by Kidd in the book. 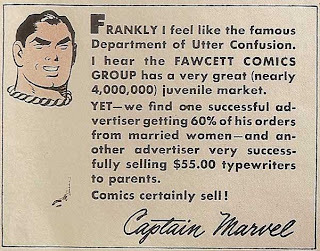 He contrasts Mac Raboy's realist art on Captain Marvel Jr. with C.C. Beck's minimalist style (noting in the process that Raboy could have been a fine artist but decided to do comics for money — how times have changed), lists some key differences between Superman and Captain Marvel, has a whole section on Fawcett's "Batman" (e.g., their second bestselling character), and more. As an added bonus for every fan of comics, there's a full story in there from CAPTAIN MARVEL ADVENTURES #1, which is admittedly unrefined and shows some of the early obstacles they had in establishing the full tone and models for Captain Marvel and company. But there's a dynamism to it that makes it still fun to read — not surprising when you note the fact that it was done by that all-around duo of Joe Simon and Jack Kirby, creators of Captain America, among others. SHAZAM: THE GOLDEN AGE OF THE WORLD'S MIGHTIEST MORTAL is a treasure trove for fans and historians everywhere. In a time when the innocence and optimism that Captain Marvel represented is increasingly becoming as undervalued as the Captain is himself, this book is a good reminder of the past, and hopefully, a beacon to the future.